I have been increasing my familiarity with the iPad Pro adding keyboard and Apple Pencil: all to help me work more efficiently, although there are some areas that might be improved. This month sees Apple's Q2 2019 financial report which is a signal for Wall Street to begin fretting in case the share price rises too high: profits to be made. I have been learning a bit more about the 11" iPad Pro that arrived last week. Since I have had this, I have deliberately not taken the MacBook Pro to work and instead focused on the tablet. This was helped by my acquisition of the keyboard and case. The intermittent N key on the Mac also helped in my strategy: the iPad Pro works, the Mac is intermittent. One of the most awkward tricks I have come across with the iPad Pro with the magic keyboard was finding out how to use dictation. It is easy enough when no external keyboard is used. What I had to do was press the down chevron at the bottom right of the screen which brings up the iOS keyboard. Then I have to access the numerical keyboard where the microphone icon is found. Only then am I able to use dictation. Not exactly efficient: a key combination would be better. And external keyboards score highly here. 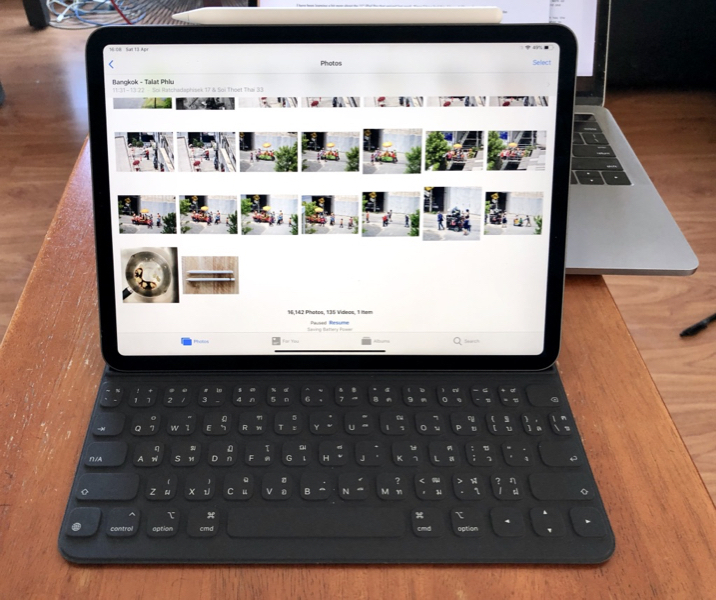 When I used the original iPad Pro a couple of years back I found that productivity was increased by the use of key commands, most of which I was familiar with, because they are all the same as on the Mac. With the new iPad Pro things have advanced. More apps have this available and, like the iPad key commands, these can be shown by holding down the command key. This works for the iPad itself of course, but also for any app. I was looking at my workflow because I bought the Apple Pencil this week. I already had one for the old iPad, but of course that won’t work for the iPad Pro. When I decided to buy one I took it from the shelves in the iStudio in Siam Paragon. As I was about to pay, one of the young staff came up and asked, "You have an iPad Pro?" I thought it was rather nice that staff have been warned to check with customers because it would be a nuisance to take the pencil home and have it for the wrong device. 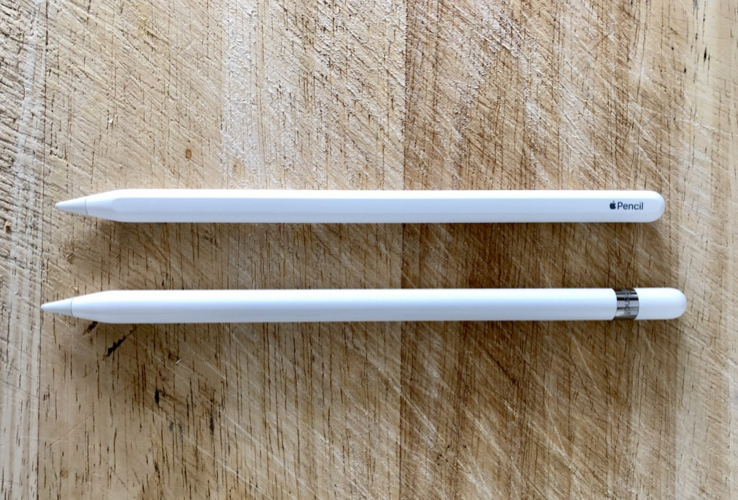 The new Apple Pencil is slightly shorter than its older cousin, so the leather case is no longer a perfect fit. I may let that go if I have a buyer for the 6th generation iPad. The matte finish of the Pencil 2 means it has better grip and this is improved with the one flat side that fits the top of the iPad. Unlike the Lightning connector of the first version, there is no physical link. It is all done by the magic of induction: pairing and charging. As I wrote in my initial look at this iPad, this has been the easiest device I have ever had to set up. I finally decided to buy the Apple Pencil because I want to take a close look at some erase features that new apps can provide, particularly Pixelmator Photo, a new app that appeared this week. This and Touch/Retouch both have good repair and erase tools and I want to compare them and any others, and also have a look at the same tool in Photos on the Mac which is considerably improved these days. While the induction and charging work quite well for the Apple Pencil with this new iPad Pro, the Apple Watch has used this since it has been on sale, and there are a number of Qi-standard solutions for charging smartphones, Apple was severely criticised for its decision to cancel its own AirPower product, because there was "difficulty meeting its . . . standards." Matthew Panzarino (TechCrunch) cites this as a focal point for criticism after the problems with the keyboard on the MacBook Pro (I just had to type that N in ON three times), but I would like to think that Apple has the courage to walk away from a product that may not give customers the performance it should. There are other products (and from other manufacturers) that might have not been made. And with the number of Qi-capable devices already in the market, few sales will have been lost. 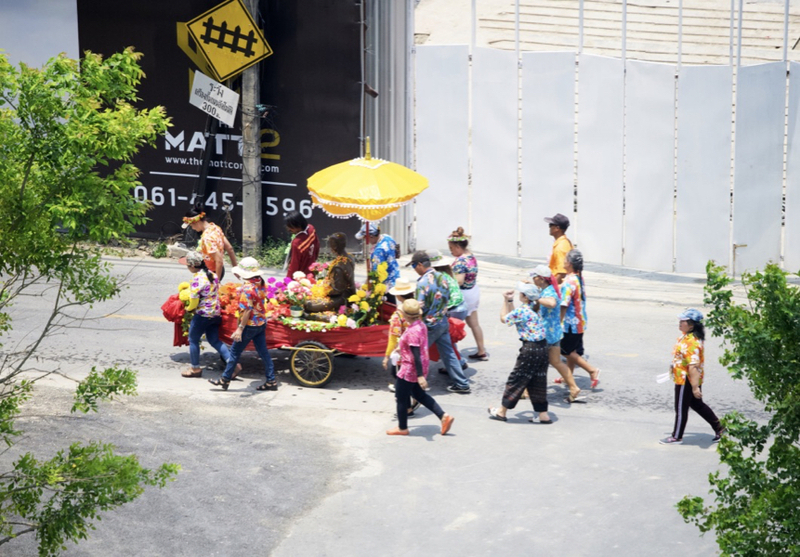 At this time of year I am usually locked away with supplies and media for a few days while the rest of Thailand throws water around. 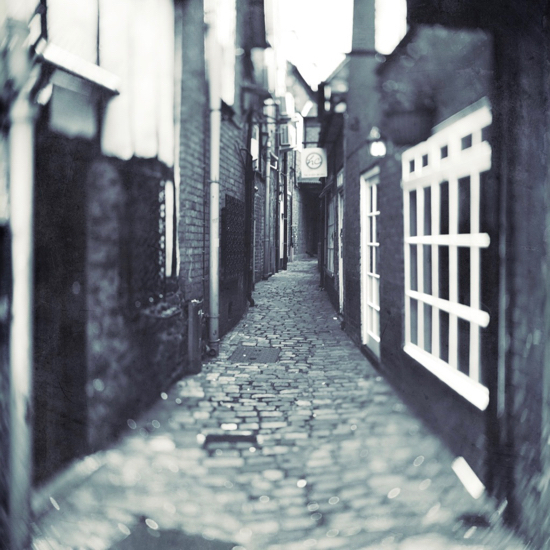 It is pointless trying to go anywhere and if I go out I would expect to be targeted. I noticed over the years that this was happening more often. Even at a friend's funeral five years ago I had water thrown over me. Now I just avoid it. At the end of this month, on 30 April, Apple will release its Q2 2019 earnings report. After the last Report when Apple predicted some sales would fall because of China, there was a rush to unload the shares and along with many other companies the stock price fell. There were also some hissy fits from some analysts, who were told that Apple would not be providing sales numbers for the iPhones any more. As many analysts ignored Apple's advice, made up their own guesstimates (which were usually wrong) and then penalised Apple for not reaching their (analysts') targets, the reaction was not a surprise. I predicted at that time that, although this was a fall in the market price, it would rise again as it always has before. Just before we have the Q2 financial report, the stock price is again approaching what it was just before Q1 2019. The price is $198, having risen from a low of $142 at the beginning of the year, but is yet to reach the all-time high of $234 last Fall. The 10-year chart puts it in some perspective. However as is quite usual there are already rumblings from Wall Street. A few days ago Credit Suisse suggested that perhaps iPhone sales may be less than expected and predict a drop of 12.4%. We know this. There's no surprise here. This is just Wall Street playing its games, forcing the price down again so the profits might be taken. We also see that New Street Research (Pierre Ferragu) is downgrading Apple from Neutral to Sell, but at the same time raising the target price from $140 to $170, when it is already at $198.87 which sounds like backing two horses in the same race for places and not winners. Philip Elmer-DeWitt also made comments on this and when he asked for a copy of the advice was told he could subscribe: $40,000 per year. I give better advice on Apple for free. Others have now begun to hit this tired old bandwagon, but I note the reports of a survey in the USA (Oliver Haslam, Redmod Pie) that concludes 86% of teens expect their next phone to be an iPhone. Many smart teens here use these, but many more aspire to own one. It's not dead yet. An interesting court decision was made in Ireland this week that would have affected Apple had the company not already walked away from its €850m planned data center in Athenry, Co Galway. It was put at risk by a few locals who challenged the environmental impact assessment, delaying an already late project. Apple had had enough and although the company still has considerable investment in Ireland, decided to cut its losses. Even so, the Courts continued the Appeals process as its outcome could be applied to similar situations in the future were they to arise. The Irish Supreme Court sided with the Planning Board, Claire Murphy (Irish Independent) writes. Although Apple decided to move the project to Denmark who welcomed the scheme, there are still 6,000 people employed by the company in Ireland and (perhaps significantly), planning permission for the site remains in force. There is a slight sting in the tale here as Denmark is asking Apple, Facebook and Google to pay for some of the costs that will be needed if fossil fuel use is to be reduced. They are asking for the companies to provide some of the costs towards building necessary windmills. In the past Apple has created its own solar energy farms, so it is possible that they may well contribute to this: the company is committed to green energy (Christian Wienberg, Bloomberg). I always look carefully for the slides that indicate the new APIs that will be available to developers for the next OS versions. We have the WWDC to look forward to in June and that is promising to have new iOS- and macOS-related developments with the use of Marzipan: an app can be coded so that it will work, with some relatively minor changes on both platforms. We already see some of the early work on this with, for example, the Stocks app now on Macs. It is also apparent that Apple is about to split iTunes. Some may say this is overdue as one size does not fit all: with music, podcasts, videos et al, a separation of functions might make app (and content) management easier. 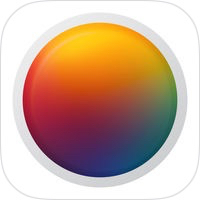 I avoid Adobe products like the plague and consequently enjoy a host of other apps on my Macs and iOS devices, with the most recent being Pixelmator Photo, that Michael Zhang (PetaPixel) called a "Desktop-Class RAW Photo Editor for the iPad". John Voorhees (MacStories) also wrote a lengthy (and positive) review on this. My own first look is also available. While Adobe has been the prime developer of image editing software for years, they have dropped off a bit, particularly with the subscription services approach. Mel Martin (Fstoppers) writes about his lack of love particularly for Creative Cloud and for the poor telephone support. To their credit Adobe have been in touch with him, but there is a lot more that needs doing. Some companies need to remember that the fee-paying customers are the ones who pay the bills. The world was stunned (relatively speaking) this week by the first photograph of a black hole, produced by the use of algorithms developed by a young researcher. As is customary, the image was made public under the Creative Commons license: we can all use this. Well, No: not according to the Visual China Group, owner of 500px. Michael Zhang (PetaPixel) reports that the image appeared in China with the VCG watermark and the site insisted that a license was needed to use the image. Other images were found that also should not have been claimed by 500px, including the Chinese national emblem and national flag: definite No-Nos. The Chinese authorities flexed their muscles and the whole site went offline, "for a revamp in accordance with related laws". And a change in some personnel I shouldn't wonder.